One of my favorite things about my annual trip to visit my family is the opportunity to cook stuff I wouldn't otherwise make, for a willing audience of eaters. 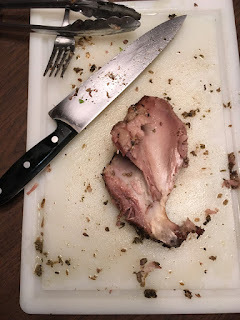 For Christmas Eve, that thing was my first ever porchetta. Hawaiian food culture excels at slow-roasted, super tender pork, but doing it Italian style is uncommon there. Cook's Illustrated has an excellent recipe, involving a super-herby, garlicky paste, an overnight in the fridge to make sure the flavors get fully diffused into the meat, and a long, slow roast in the oven. Several things went awry with this, most notably that I misread the pork shoulder we bought; I thought the B/I was a B/L. Really easy mistake to make, who would label something that way? 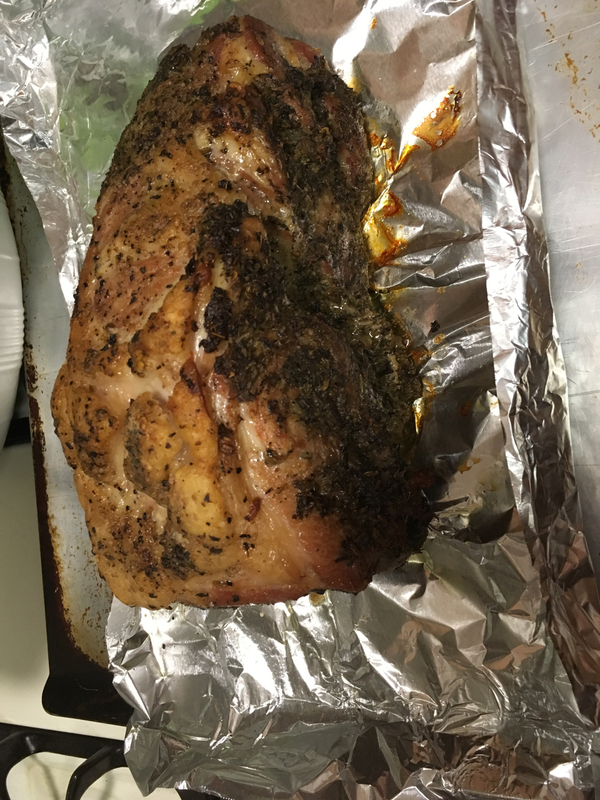 But anyway, although a boneless roast would've cooked faster and been easier to carve, that was a small thing in the grand scheme. (And Big Boy, the family dog, got a nice treat in the bone.) Also I got a much later start getting it into the oven than I would've liked, resulting in a late Christmas Eve dinner. My thanks to the family for their patience. However, the wait was amazingly worth it. I wish I always had time to cook like this! 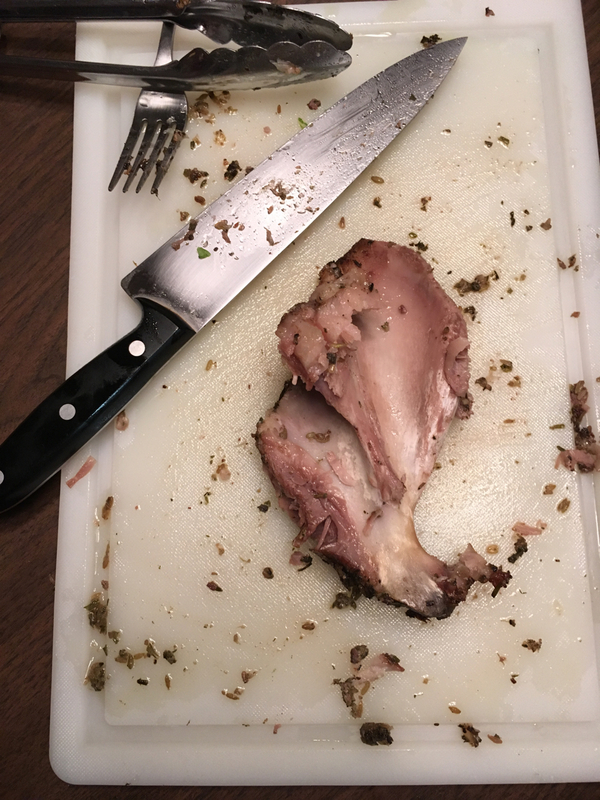 The meat was just, well, perfect. 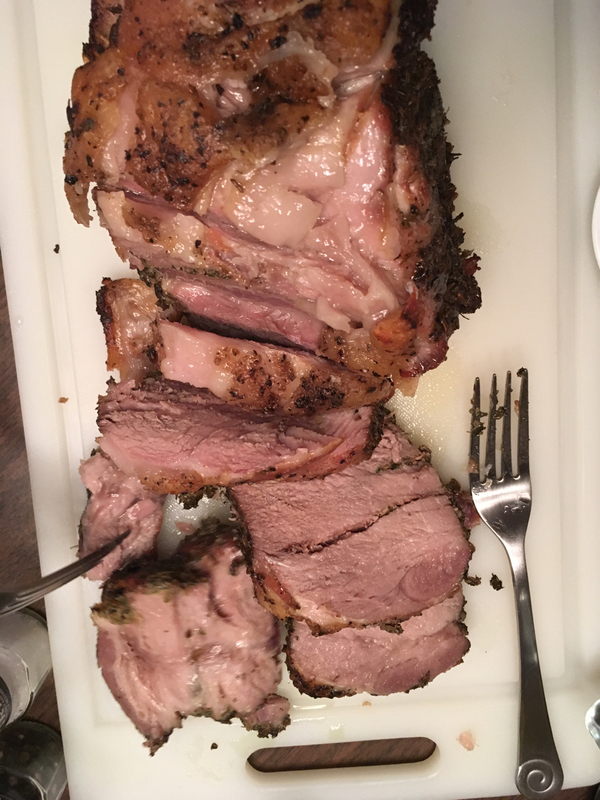 One of the best pork roasts I've ever had, anywhere. Tender but not too tender, so flavorful, and the drippings made a phenomenal gravy. 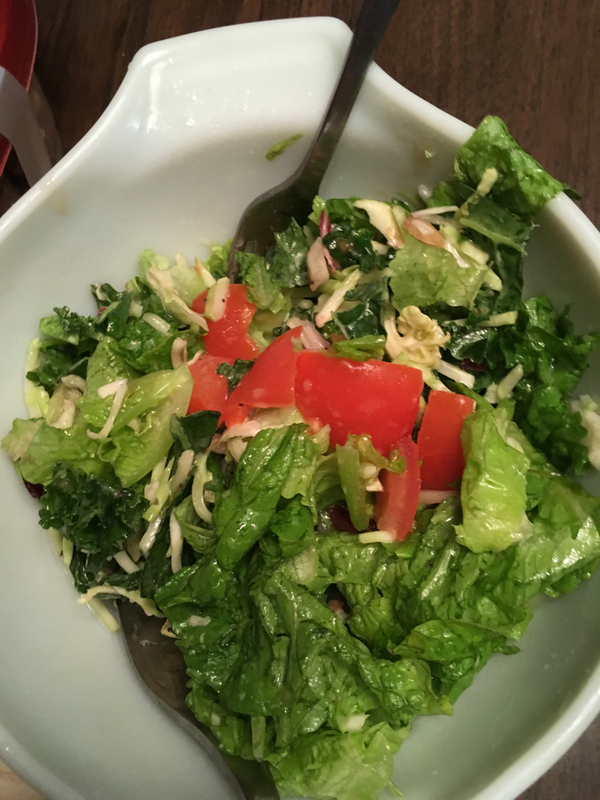 And we had just a ton of leftovers, too. 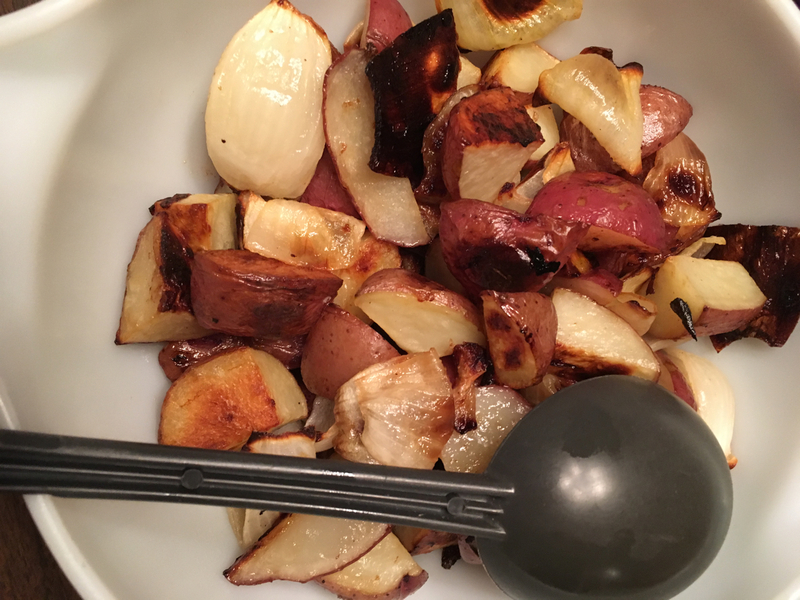 I roasted some potatoes and onions and made a simple salad to go alongside. And there was bread. Like I say, this wasn't a fast recipe, and it was somewhat involved. But it wasn't hard, and you can't argue with results as tasty as this. I'd totally make it again the next time I need to impress people with a large hunk of flesh, perfectly roasted.